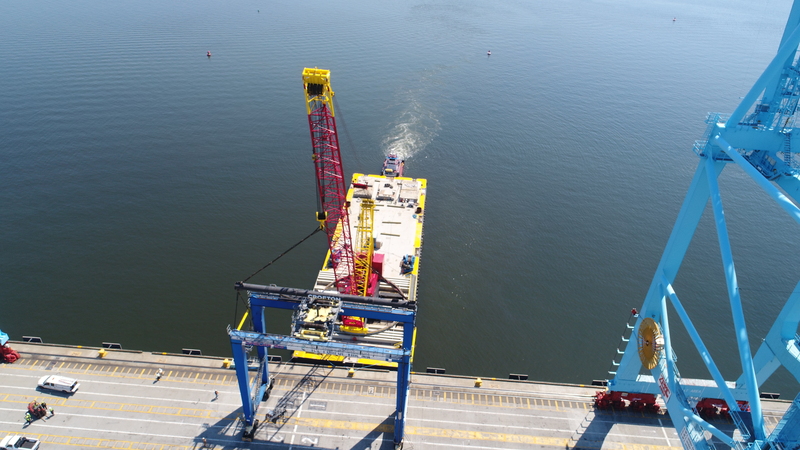 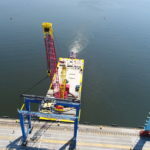 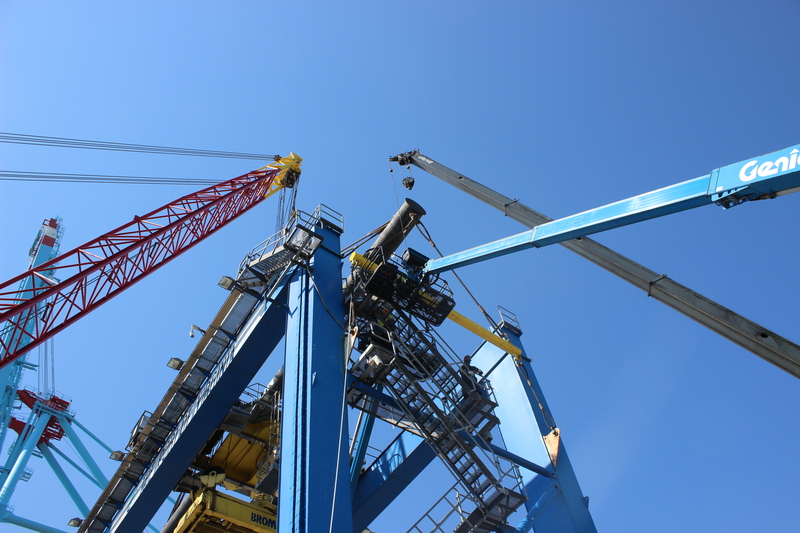 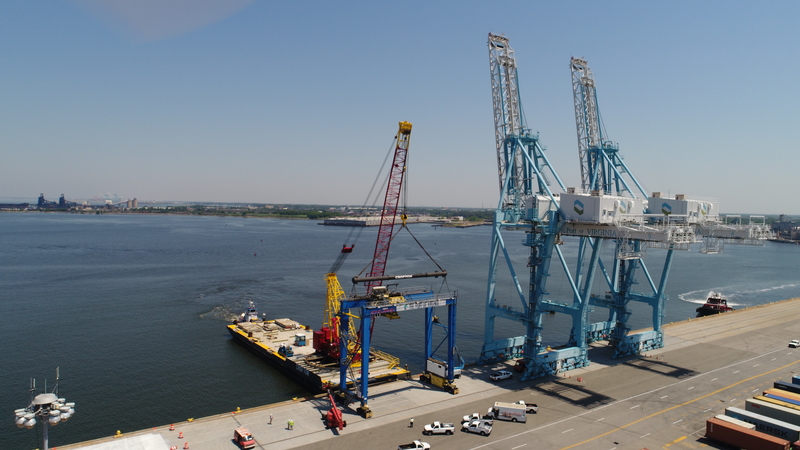 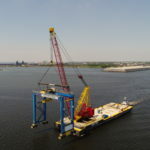 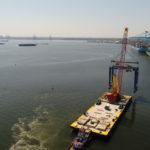 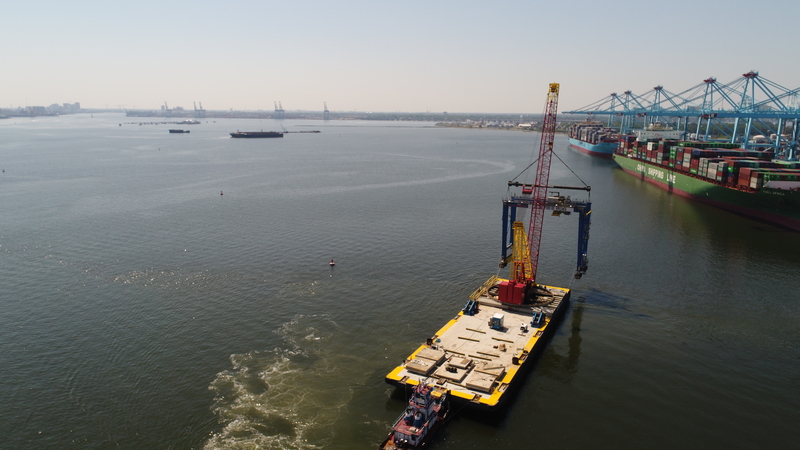 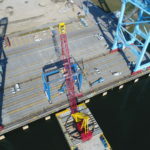 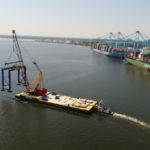 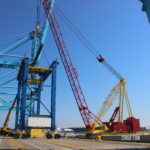 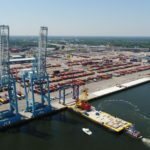 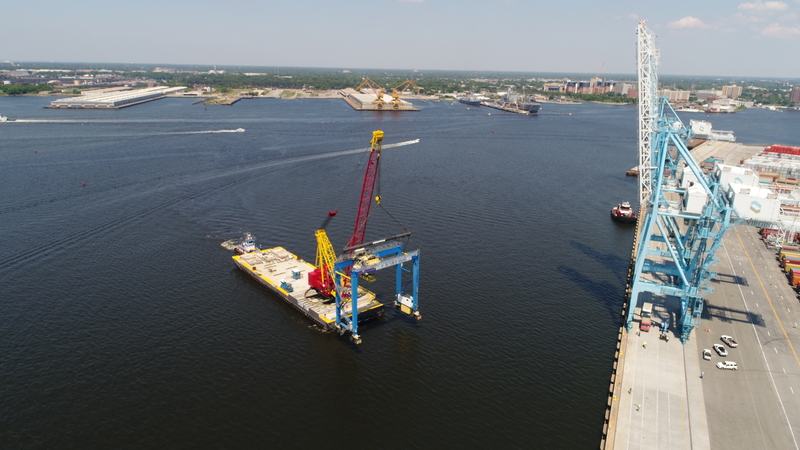 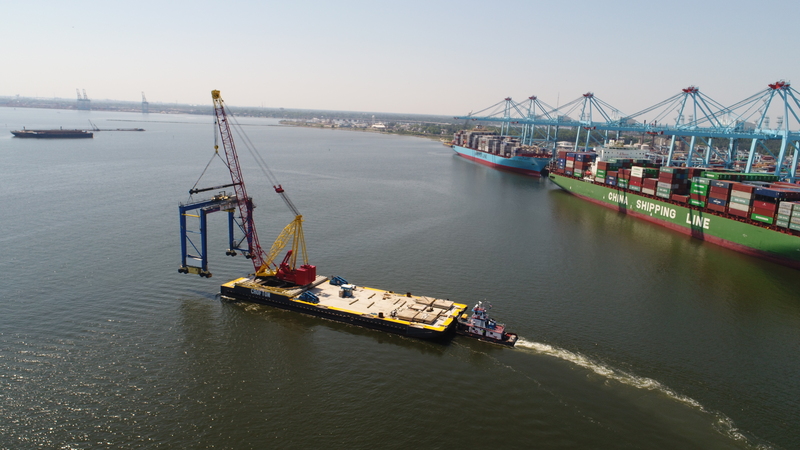 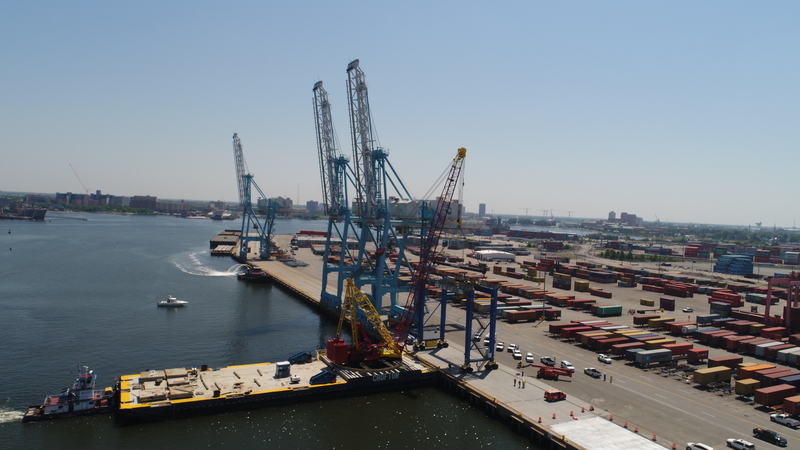 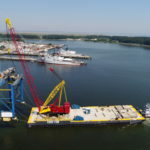 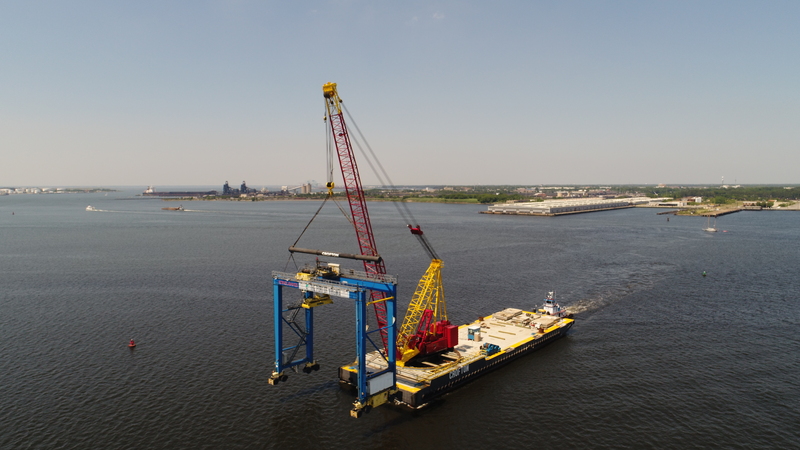 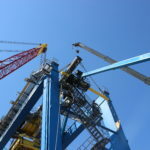 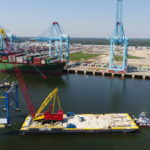 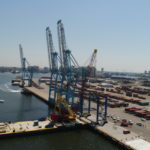 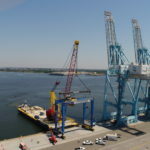 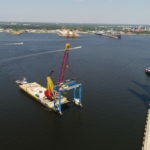 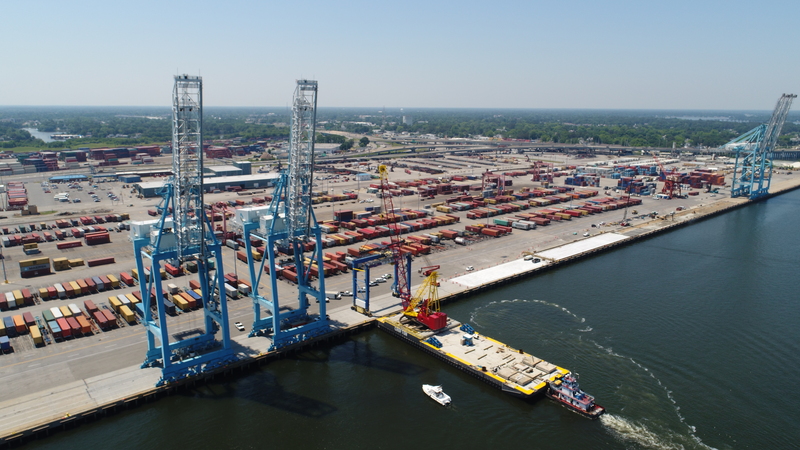 Crofton Industries used their 600 ton Manitowoc 4600 to lift, transport, and place two rubber gantry cranes (RTG) to Portsmouth Marine Terminals from Norfolk International Terminals and Virginia International Gateway. 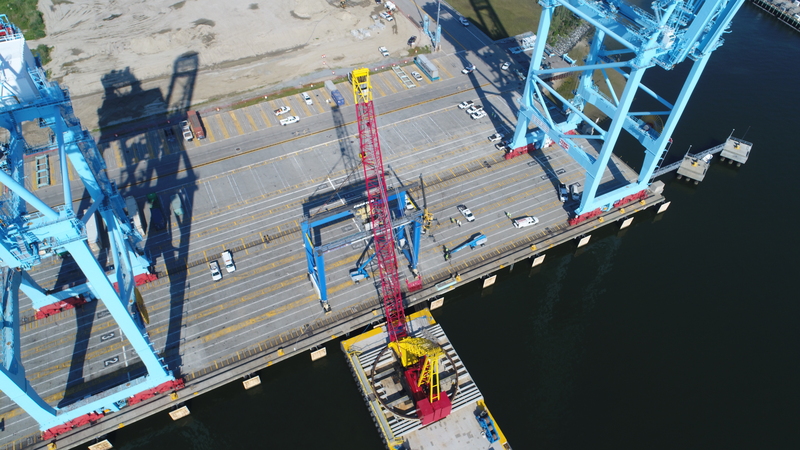 Each lift with rigging was approximately 350,000 lbs. 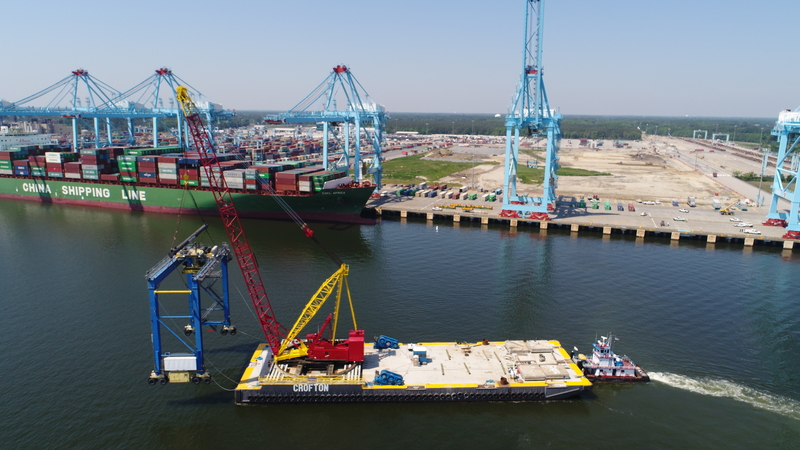 Click here to see a time lapse video of Crofton Industries assembling the Manitowoc 4600 from start to finish! 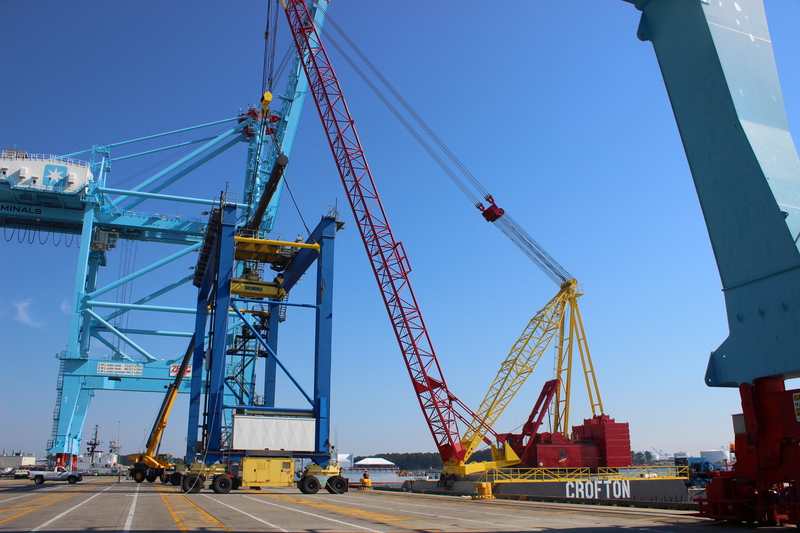 See more of Crofton Industries' equipment fleet. 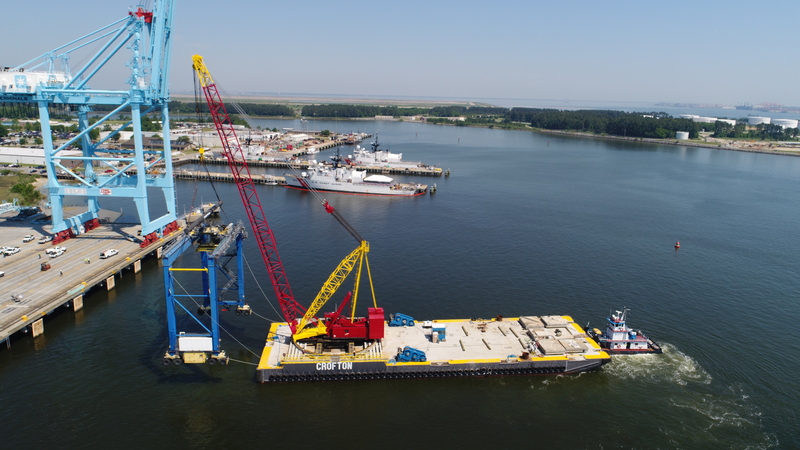 Crofton's 600 ton 4600 Manitowoc S3/Ringer S2 and push boat, the "Bunny C".